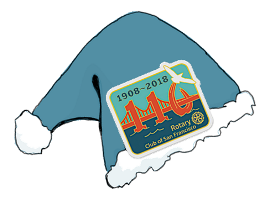 Don't miss our Annual Holiday Party at the Westin Saint Francis, where we will celebrate our Club's 110 Anniversary! Bring your family, friends, and business associates to enjoy this most festive and fun-filled luncheon of the year. It's important for members to attend so we have a quorum for the brief Annual Meeting, where we will elect new Board members and our next Club President. Tickets are no longer available. We cannot guarantee seating for walk-ins.